Lee Trevino’s grip was about the last thing anyone noticed about the “Merry Mex.” But since he’s one of history’s greatest ballstrikers – and champions – Trevino’s grip is worth a good look. In his heyday (late 1960s to mid-1980s), Trevino was considered to have a stronger grip than the average pro. In today’s game, where strong grips are in vogue, it seems much closer to neutral. Trevino’s right hand is a bit underneath the handle, with the “V” between his right thumb and forefinger aimed at his right shoulder. The left hand isn’t quite so strong, turned just a touch away from the target. 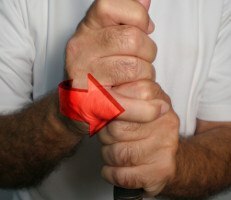 By any description, Trevino’s grip was certainly effective. Master of the power fade and the so-called “burning wedge,” he won six major titles and wowed galleries with his shotmaking prowess. And he did it all while amusing fans and peers with a non-step flow of chatter and sharp one-liners. He was no slouch on the greens, either. 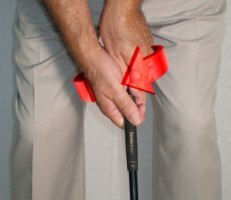 With the putter, Lee Trevino’s grip is fairly conventional. 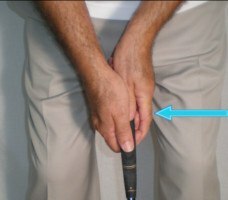 However, his hands are slightly less unified than most golfers’, as his left forefinger covers only the right pinky when Trevino assumes the reverse overlap position. Other players tend to place the forefinger across at least two, and sometimes three, fingers of the right hand. Once you get past his looping swing, amazing play and hilarious quips, Trevino’s grip – with any club in the bag – merits serious attention.